New York City, May 29, 2015, — BZM Innovation Technology Inc.’s founding ceremony was successfully held in Manhattan on May 21. 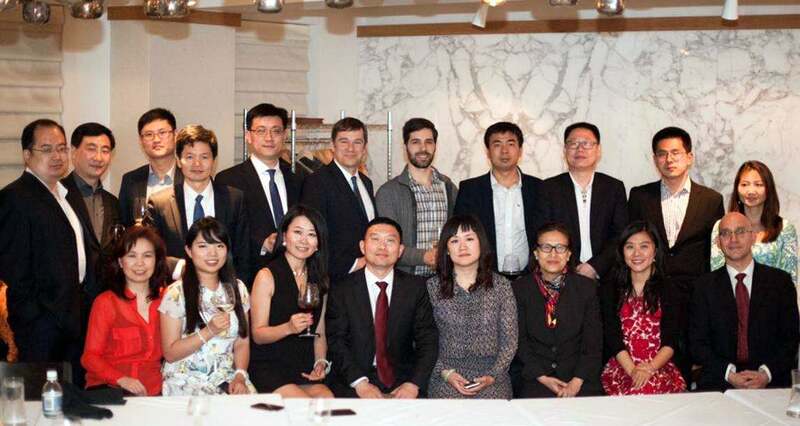 Top Chinese bankers and entrepreneurs who work in New York, attended the ceremony. Zhiming Bai, chairman of the board of Huaying Group and the founder of BZM Innovation Technology Inc., and Yanxia Kong, CEO of Huaying Group, flew from Beijing, China to New York to attend the ceremony with dozens of local business leaders. Attendees of the opening ceremony pose for a picture (provided to bostonese.com). Distinguished guests were present, including Blake Zhang, VP of Deutsche Bank, Yong Ma, MD of Morgan Stanley, Kevin Chen, Director of Tiaa-cref, Qin Wang, Director of Kiski Group, Lihuan He, Co-founder of ydizhu.com, Yunlong Lee, Executive Director of Knights Group, An Ping, Executive Director of Asia Society, Thomas Moore, VP of China Institute, Lynn Chen, CEO and founder of AlumVest, Uri Ferruvccio, Project Manager of D.E.Shaw Group and many other elites. The ceremony began at 7 PM. The presenter from Financial Times represents the mainstream media to give a warm welcome to Mr. Bai and congratulation to the establishment of BZM Innovation Technology Inc. Yingjie Wang, the VP of BZM Innovation Technology Inc., introduced the basic information about Huaying Group’s developments these years and BZM’s future development strategy. Then, Mr. Bai delivered an important speech which introduced the achievements during Huaying Group’s developments in the industry and the industrial financing and expressed the confidence in integrating the resources from China and the US. Mr. Bai also pointed out that Chinese investors generally have two concerns – how to create more values in the foreign markets with domestic capitals and how to combine foreign advanced innovations technologies with the domestic market development. To fulfil these primary goals, BZM will help to activate market values, to innovate financial and internet technologies, to insure a great increase in asset values, to combine Chinese models with international ones and to keep observing the most advanced and newest operation models, technologies and products to secure the leading position of Huaying group’s industry model in the global finance industry. The ceremony ended in an exciting and delightful atmosphere. Many attendees believe that BZM Innovation Technology Inc. is posed to write legends in the global finance industry with her advancing ideas, firm specialty and continual innovation power.